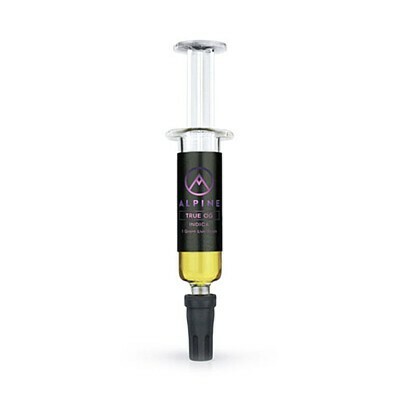 Alpine Live Resin Syringes use medical-grade borosilicate glass so they can be dabbed directly onto a nail. With the live resin testing at 72%+ THC, you can also use the syringe to take your joints, blunts and pre-rolls to the next level. Indica | Hailing from sunny Southern California, True OG blends a mellow body high with stimulating cerebral effects.